Sure, there’s teen angst, but not enough attention is paid to shopping-for-teens angst. Too old for kid stuff, not old enough for grown-up things (read: super expensive or nice, or wine/liquor related) makes this age group a tough one. Plus, wishing them well on another school year they just know they’re going to loathe? Not cool. So skip syrupy sentiments and go for gifts that’ll get the adolescent’s thumbs-up of approval. Go subtle and unexpected. 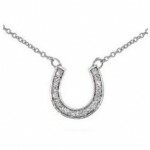 Instead of a big Hallmark card wishing them luck, spring for a horseshoe necklace instead (the bling can’t hurt, either). 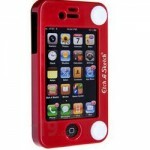 Or try offbeat and slightly annoying. 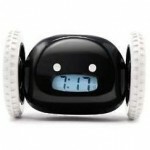 This alarm clock gets the job done by rolling away and forcing your sleepyhead to chase it down. Humor them with how they feel about school. AP History turning out to be total torture? 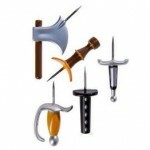 Lend a helping hand with a message board to keep them on track and these medieval weapon push pins. Got a kid geeked out about chemistry? This period table-inspired t-shirt is geek chic. Tired of nagging them about where they are after school? 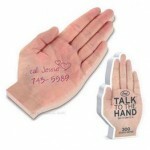 Keep this “handy” notepad out for them to jot notes to you. If you’ve taken that parental leap of faith and given them a smartphone, remember that their tech gear is only as cool as the accessories. American Lit fans can encase their iPhones with these book cover-inspired cases. 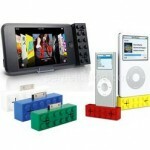 Or have him relive his childhood with an etch-a-sketch case or iPod Lego speaker.